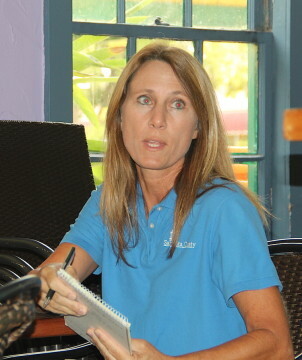 On Dec. 1, Sarasota County Code Enforcement Officer Susan Stahley told about 15 members of the Siesta Key Village Association (SKA) that she planned to give the manager of the Key Corners plaza on Ocean Boulevard seven more days to add back a handicapped parking space that had been removed and replace a missing sign at the existing handicapped space. Because more than 25 parking vehicle spots are available for the complex, she pointed out, the County Code requires two handicapped parking spaces. She planned to walk by there after the SKVA meeting ended, she said. If the situation had not been corrected, she pointed out, she would issue the manager a Notice of Violation. When I walked by there following the meeting, the situation had not changed from last month. 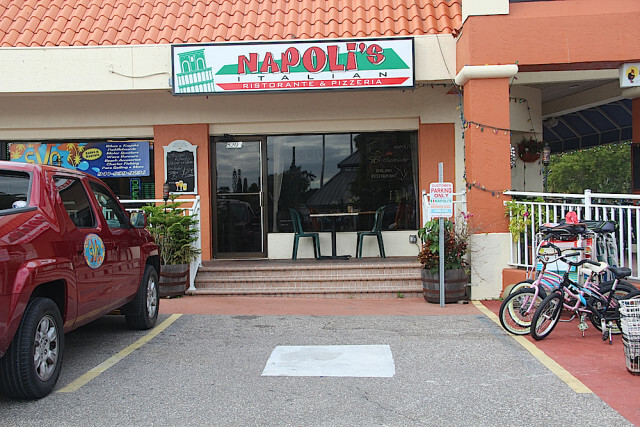 During the Nov. 3 SKVA meeting, Treasurer Helene Hyland reported that she had been in contact with Stahley about the handicapped designation having been painted over in the space directly in front of Napoli’s Italian Restaurant. Additionally, Hyland said, a sign marking that space for handicapped access had been removed and replaced with a sign denoting the spot for customers of Key Corners restaurants. 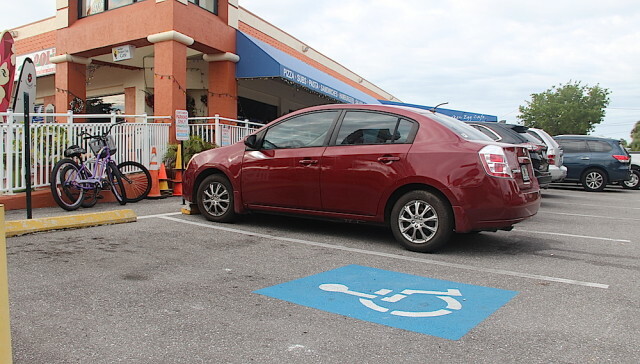 When Stahley noticed the handicapped space designation painted in a spot parallel to Avenida Messina was “almost invisible” in June, she reported on Dec. 1, she gave the manager a courtesy notice that improvement was needed. He had it repainted in about three days, she added. 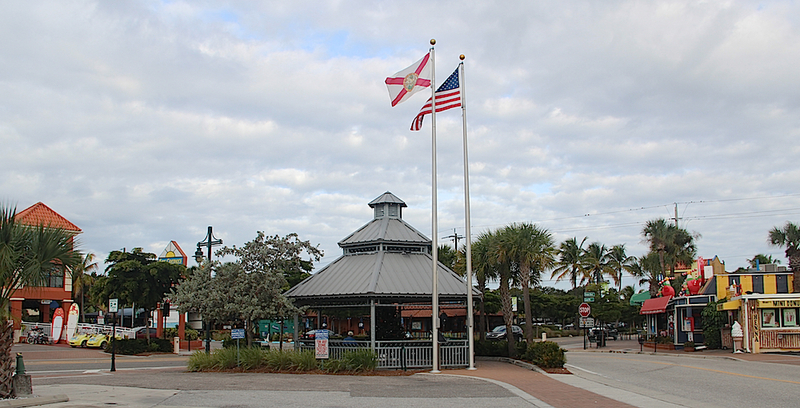 During the SKVA meeting this week, board members discussed the fact that the holiday season kickoff for Siesta Village — Light Up the Village — “seemed to have gone really well” on Nov. 28, as President Wendall Jacobsen put it. 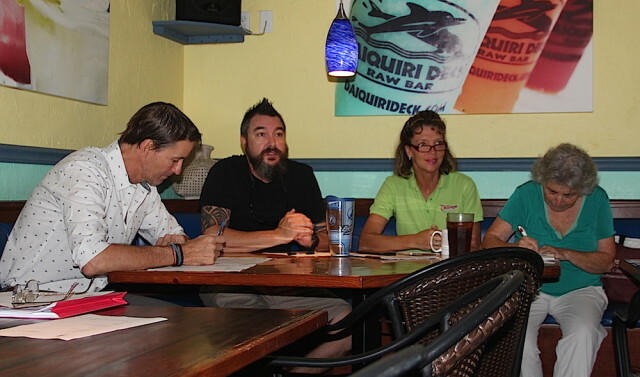 However, Russell Matthes, co-owner of the Daiquiri Deck restaurants, said, “It was a little overwhelming” in terms of the crowd size. More people showed up than the SKVA members, who sponsor the event, had expected. “I think it should still stay a surprise,” SKVA Vice President Smith replied, drawing laughter. Following the SKVA meeting, members who participated in planning Light Up the Village stayed to hold a wrap-up session, when they said they would weigh the pros and cons of the Nov. 28 event, including the parade. They asked Sgt. Jason Mruczek of the Sarasota County Sheriff’s Office to stay, too, so he could offer comments about what he and his officers dealt with during Light Up the Village. Before the regular SKVA meeting began, Mruczek told me that things went generally well from a law enforcement standpoint. However, he said it did take quite a while for all the visitors to leave the Village. During the Dec. 1 session, SKVA Vice President Mark Smith reported that the Siesta Key Chamber of Commerce Sandfest fundraiser on Nov. 6 was a success, though attendance was a little lower than usual. Sandfest was held at Siesta Public Beach, where renovations remain under way. “Bathrooms were closed down, which made it uncomfortable for some,” he added. “You’re so absolutely right,” responded County Commissioner Al Maio, a guest at the meeting. 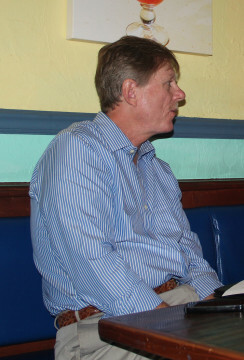 “You and I exchanged no less than a dozen phone calls during this event,” he told Smith. That was during the Crystal Classic Master Sand Sculpting Competition, Smith noted, when other issues arose. Maio said he would schedule a time for Smith and other Chamber representatives to talk with Carolyn Brown, director of the county’s Parks, Recreation and Natural Resources Department, and some of her staff regarding problems that had arisen. Maio indicated he also would attend the session, which he suggested be held after the holidays. As for the Crystal Classic, held Nov. 13-17: Smith said attendance appeared to have been good, though the numbers were not available yet. Proceeds go to Mote Marine’s Sea Turtle Conservation & Research Program. 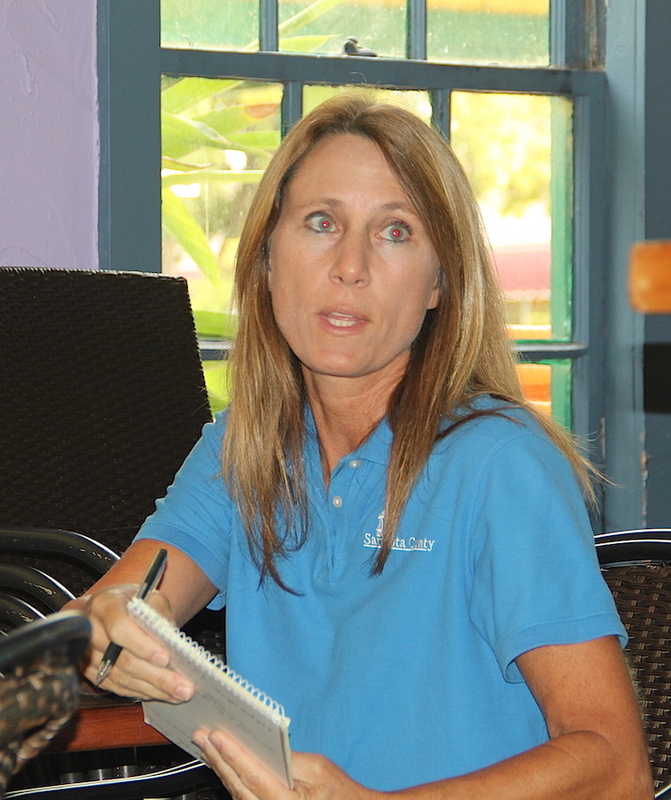 During his Dec. 1 SKVA meeting report, SKA President Shay — who also serves as the liaison for the Siesta Key Village Maintenance Corp. — said, “Things have been going well with [Buccaneer Landscape Management],” which has a $130,000 contract with Sarasota County to handle the Village upkeep. Further, Shay pointed out, the Buccaneer employee who oversees the Siesta work answers Shay’s phone calls promptly. “I do want to give them kudos,” Shay said of Buccaneer’s employees.